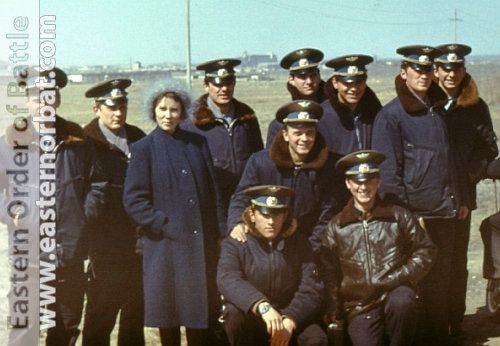 In the eighties, less money was spent on developments at the Central Asian Military District's Air Force. All local tactical air units took part in the war in Afghanistan, which cost a lot. 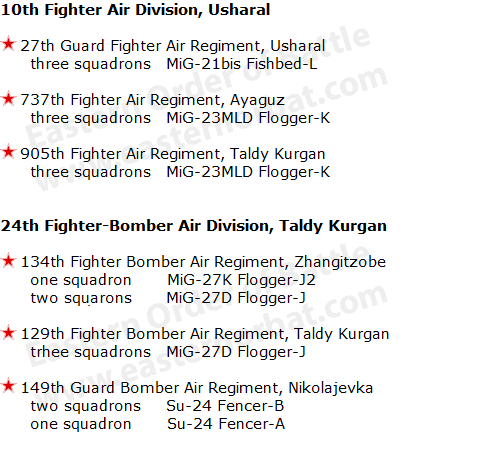 The Central Asian Military District has neither received the new MiG-29 Fulcrum tactical fighters nor the modern Su-24M Fencer-D bombers in the 1980s. However, its existing planes were two or three generations advanced to the Chinese opponent's types. Only existing types have been upgraded. 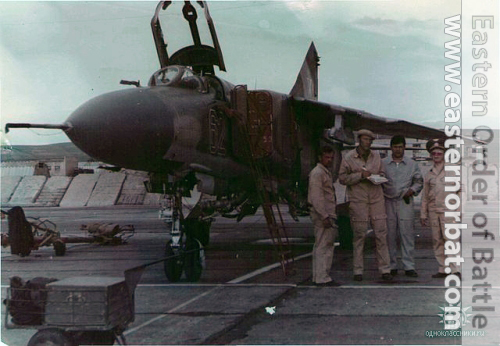 The MiG-23MLA Flogger-G fighters were upgraded to MLD Flogger-K version, the basic MiG-27 Flogger-D to MiG-27D Flogger-J version in the second half of the 80s. The entire Central Asian Military District's Air Force only received two modern version. 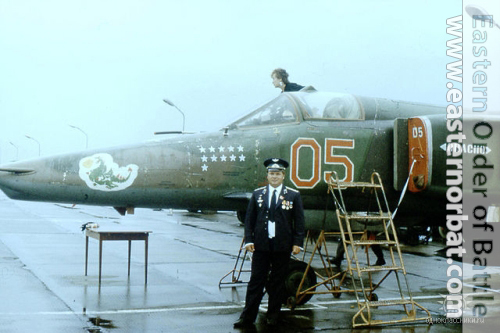 In 1986, the 134th regiment received a squadron of precision attacking MiG-27K Flogger-J2 bomber from other units. 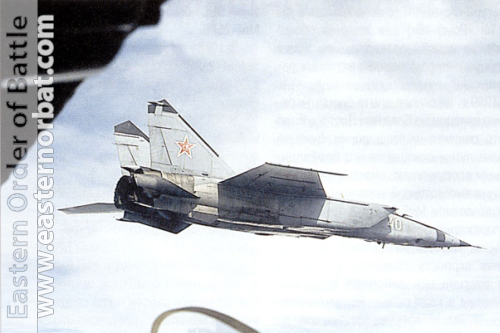 Also in 1986, the 39th regiment received six Su-24MR Fencer-E reconnaissance aircraft. Later, the entire Yak-28R Brewer-D squadron was retrained to the modern type. Between 1984 and 1985, the 737th Fighter Air Regiment moved to the Ayaguz airport near the Chinese border. In 1988 started the Soviet Union Disarmament. The 10th Fighter Air Division is terminated. 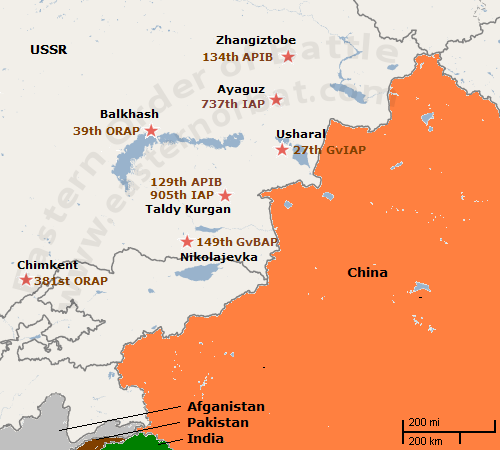 The Soviet Turkestan Military District’s Air Force and the Central Asian Military District’s Air Force has been merged again in 1989.